Though the title to this article may read like a motivational poster there's nothing metaphorical about it. 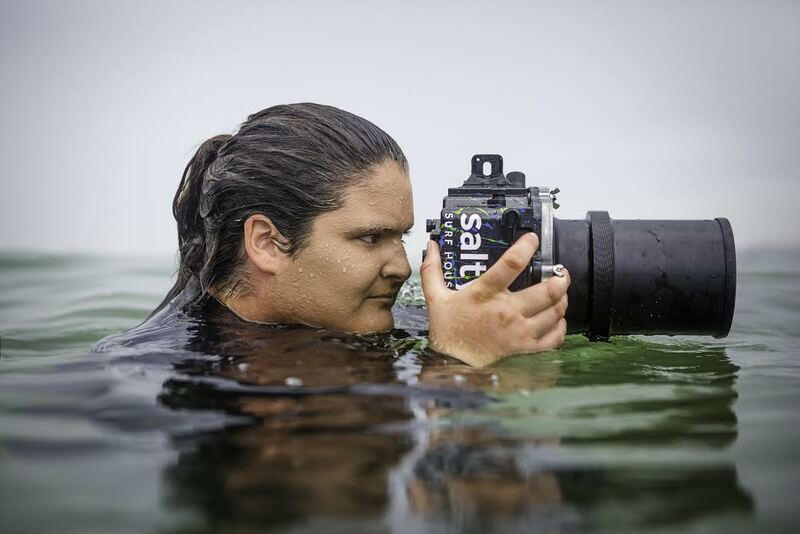 Photographer Shannon Glasson perceives danger differently than the rest of us, which combined with a preternatural swimmimg ability allows her to swim the impact zones of some of the world's heaviest waves. Kim Eulenstein is a sports marketer, the founder of the Girls Surf Network, and also the author of this piece on fearless photographer, Shannon Glasson. Take a look at the photo below. Great shot right? That’s hellman Dan Brown A.K.A ‘Mullet Lord’ scoring an insane barrel in Sydney last October. It was captured by a teenage girl, the only other person in the water that morning. It was still dark when Dan walked out onto the cliff face at Cape Solander with his fluro pink 5’2” foam Mullet board. He was the first one there that day which was unusual considering the swell prediction. Dan couldn’t believe his luck when the first light offered glimpses of the hollow, empty slabs drawing off the rocks right in front of him. He could hear them detonating in dark moments beforehand but had no idea if they were rideable until the light hit them. Cape is a notoriously heavy wave that breaks just meters from the rocky cliff face. It’s definitely not for the faint-hearted. If the wave itself isn’t scary enough there’s the razor sharp rocks to avoid and the unpredictable backwash to contend with. There’s the local heavies, questionable marine life and the isolation. Good luck getting back up the rocks with an injury. Even without one it’s hard enough to get back up to safety. Cape isn’t somewhere you would want to be if you found yourself in trouble and my god have there been people in trouble. Mark Matthews calls this one of the heaviest waves on the planet. It’s the famed location of Red Bull’s Cape Fear series and deserves every bit of respect given. It’s one of the last places you’d expect to find a seventeen year old girl floating around in the water capturing wave images. Nonetheless this self-motivated kid drives herself through the national park in the dark, suits up, rocks off and sits amongst the heavies in the early hours of the morning… and she does it for fun. Dan remembers this day clearly. He came flying out of this beast of a wave right up to Shannon, a teenage girl just floating around in silence. She was completely calm, seemingly enjoying being immersed in the chaos. You wouldn’t even know she was there. That was the first time he met Shannon. 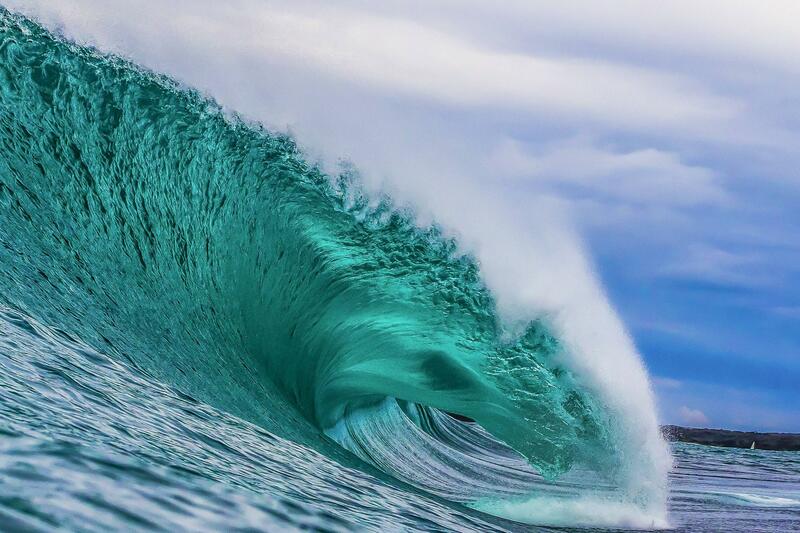 She captured one of the most memorable waves of his life just by chance. They’ve been mates ever since. A local girl, born and bred in Cronulla, Shannon has been shooting heavy slabs in her front yard for almost half her life. The better half anyway. So how did she get to this level? It’s pretty crazy to think this teenage girl holds her own with the big boys in some of the heaviest waves in the world. Shannon is a pretty special kid. She’s not your typical teenager. Shannon has endured a range of setbacks in her short time on this earth. Born with a severe case of Congenital Talipes Equinovarus (CTEV) put her at a standstill right from the start. Shannon was born with her legs facing completely backwards. She spent the first seven years of her life in and out of hospital undergoing intense surgeries and post op therapy just to get her legs to work. She was either in hospital, a wheelchair or casts for the first seven years of her life. Swimming was the only relief. The weightlessness gave her freedom and relief from the pain of life on land. Essentially, Shannon was confidently swimming in the ocean before she took her first step on dry land. On top of having a pretty tough few years of life in that regard, Shannon was also born with another serious health condition. Congenital Adrenal Hyperplasia (CAH) is a very rare genetic disorder affecting a person’s adrenal glands. In short, Shannon’s body does not produce adrenalin resulting in the absence of what we commonly feel as fear. Bundle that with a love of swimming, years of experience in the ocean plus a passion for photography... It wasn’t long before she was floating around at Shark Island and Cape Solander on the heaviest days of the year. Some might think the absence of fear is dangerous. Fear helps you assess the danger of a situation and prevents you from doing something, well, dangerous. Shannon sees it differently. She’s a pretty switched on kid. She definitely understands danger. Shannon can assess a situation calmly and with her best interests in mind. The absence of fear removes a huge roadblock that might otherwise prevent her, and likely a lot of us from even thinking of entering the water on days like these. Shannon is well on her way to making a solid career out of her passion for photography. She has some big goals on the cards including shooting some of the heaviest waves around the world. This is one kid to keep an eye on! Besides starting Girls Surf Network, Kim has also established a women’s focused sports management and marketing agency. She has over ten years experience across various sporting organisations and global swimwear manufacturing companies. incredible. what an inspiration. not to go sit in a massive impact zone but for so much more. Go Girl...water photography is hard to do at the best of times and good to see her getting the recognition she deserves.Well done! Great shots. Assume he towed in on a 5' 2" or did the mullet man paddle? Yes slab shelfs like this are shark Erie enough even with a surfboard to shove in its mouth! ;+) har ha ha ha. Amazing story.. looking forward to seeing more from Shannon. My mate's son has a similar condition to CAH and it's definitely not all fun and games . So good to hear Miss Glasson is showing life who's boss . You'd think it was a photoshop - MP claiming a monster pit at Solander on a pink foamy ! Reckon anyone would have thought this likely 20 years ago ? It was definitely possible 20 years ago but no one was game enough to do it. :) Dan's has some pretty cool waves in mind to try on his mullet boards. Looking forward to hearing some more stories on him. 15 years ago everyone was impressed when the people were towing it at 3-4ft. If mullet man keeps pulling in to waves like that on his foamy I'll keep enjoying the photos. Girl Power! Awesome Shannon, you go girl. Like your mate Blowie, one of my best mates in the whole wide world, his son was dignosed with CAH combined with early precocious puberty (won't go into it, too long but you can Google it if you like) and is on medication for life. But, this kid is a phenomenal snowboarder and knows absolutely no fear. He was the one that took me cliff jumping way up in the Blackcomb glacier just this March (I was quietly shitting myself, he was straight over the edge). Anyway, thanks SN for these articles, this is what I come back for and also looking forward to seeing more of Shannon's work. Yeah her case of CTEV must have been severe...not much surgery these days as a treatment as the methods of long term manipulation are much more advanced now. Girls got some ticker that's for sure...good on ya Shannon! Yes, it was a very severe case. At the time to docs stated it was the worst they had ever seen. Good to hear the treatment has improved! Excellent article. Is she related to Peter Glasson, shaper at Clarke and G&S in the seventies? Hey mate, no her father was an Australian rugby union player. Classic, Best Aussie surf story in years. Pair of legends! Both inspirational especially Shannon. Well done all round.